luckily today is just that day. The feast starts off with a mighty piece of hot ciabatta bread, with a spread of hot, oozing butter mixed with spices, and I were a bread person then this definitely satisfies my every craving. Every slice of the bread, with a healthy serving of the spread, just culminates in flavor, and when it reaches your taste buds, screams out delicious in every way, what a way to start the feast indeed. Today we will be having an 8 oz. 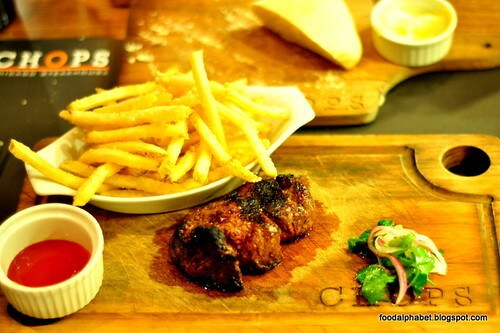 piece of tenderloin pure USDA Angus steak with parmesan fries on the side, served on a wood platter uniquely Chops. Don't be fooled by how little this was, it was at least 1 and a half inches thick, and that got me all excited. Got my steak knife and started slicing piece by piece, and with the perfect cook of medium well (Thanks Chef! ), the meat just had retained it's juicy texture while giving you that crisp burnt crust that made my steak oh so appealing. 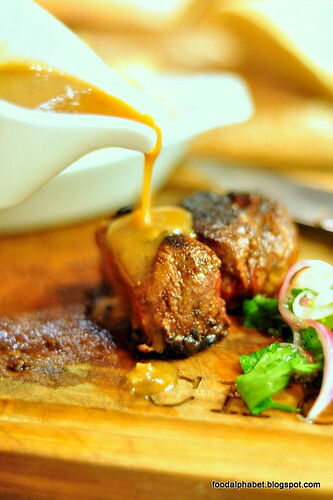 Just as I enjoyed my steak, a mix of fresh mushroom gravy was all too delightful to bring in more flavor to the already awesome steak that I was having. A juicy steak you say? Come get one yourself at Chops Chicago Steakhouse. 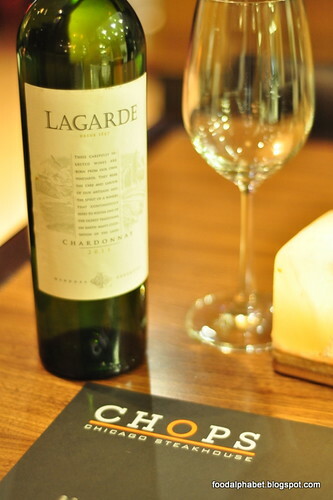 Feast on a little red meat, and pair with your favorite glass of red wine, makes every night a date night once again. 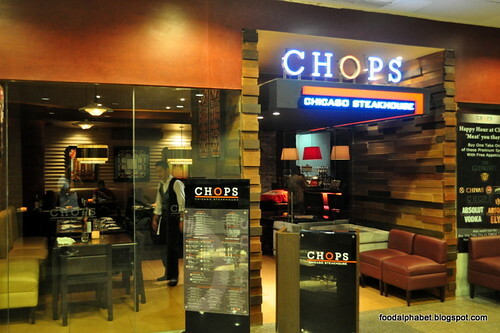 Come and Visit Chops Chicago Steakhouse, at Level 4, Greenbelt 5 Makati, there are still lots to try at Chops Chicago Steakhouse, I would just love to visit them again, it time permits. Enjoy your steak. Fantastic shots. 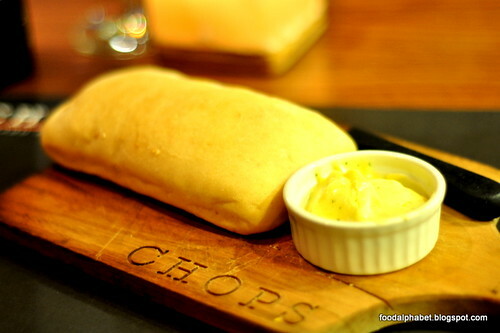 I've gone to Chops once and what I remember is that their steaks are fantastic. Indeed they are!! =) Thanks for visiting!